Included with each appointment is a full high-quality audio recording for your future reference. Package includes 2 full appointments, spaced 3-7 days apart. Health Consulting Services for any health-related issues, including vitamin/supplement/herbal guidance. For Yoga teachers and those with good familiarity with Yoga, consultations regarding therapeutic Yoga (specific postures, sequencing, prop work etc.) are also possible. 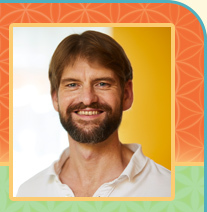 "In his Ayurvedic practice, Alex focuses closely on the precise situation and needs of each individual client. He questions thoroughly - comes up with a tailored treatment plan - and is persistent with follow-through. He's particularly good at breaking your treatment plan down into small bite-sized, 'doable' components. He's a very caring, nurturing man who listens to you. I can highly recommend him to anyone trying to make healthful changes in their life."